ProMark was established in the year 2004 to serve Private Businesses, Architectural, Environmental, Geotechnical, Engineering and the Construction industry relating to various project types including… Commercial, Industrial, Educational, Recreational, and Governmental. ProMark provides a “One Call Private Utility Service” that Benefits the entire Project Team from all phases including the up-front design phase through actual construction, record documentation and as-built phase of the project. 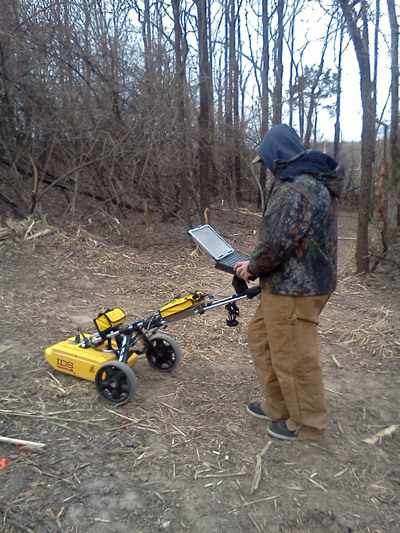 ProMark also provides Ground Penetrating Radar (GPR) Subsurface Scanning Services to locate non-metalic utility piping, underground storage tanks and assist in geotechnical investigations along with other scanning services. Click here to see the ProMark services available to you. ProMark is owned and operated by Engineers with over 30 years of experience in Management, Design and Construction.